Drones have changed the landscape of urban exploration and building infiltration, allowing their navigators access to toxic, irradiated, forbidden and structurally unsound places. These haunting videos illustrate how drones have been used to document inaccessible spaces and find amazing forgotten places. St. Peter’s Seminary in Cardross, Scotland, is set to be restored thanks to millions in grants and donations, but for now it remains in a remarkably ruined state – crumbling, overgrown and vandalized. The scenes shot for this film are amazing as they not only fly over and around the building by right through it, passing between levels missing both floors and ceilings that would otherwise be impossible to see in person. 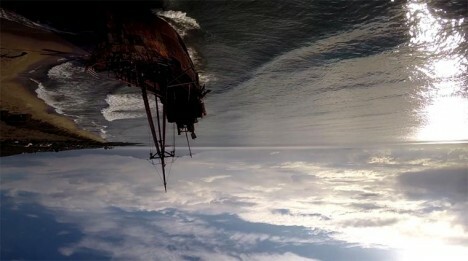 Underdrone combines upside-down footage from the “Lost Places Project,” a world tour including destinations within France, Argentina, Sicily, Greece and China using a DJI Ph2, H3-3D and GoPro3. The inverted perspective adds a layer of eerie vertigo to these spectacular and strange settings. 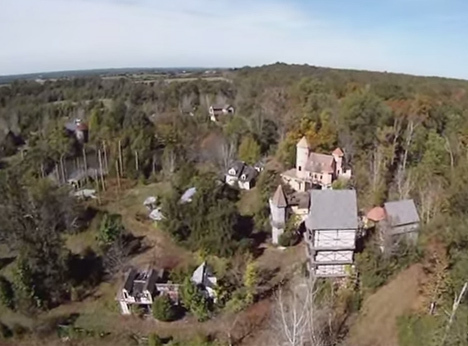 Drones can also provide the means to uncover new abandonments, discovering long-deserted places that have fallen from maps and have no landmarks pointing the way, as was the case with this abandoned Renaissance Faire. Locate in Fredericksburg, Virginia, it was found thanks to the use of a quadcopter and TBS Discovery with Naza GPS. The remote location is possible to reach, but thanks to ticks in the area may be best enjoyed remotely (or: via remote control).